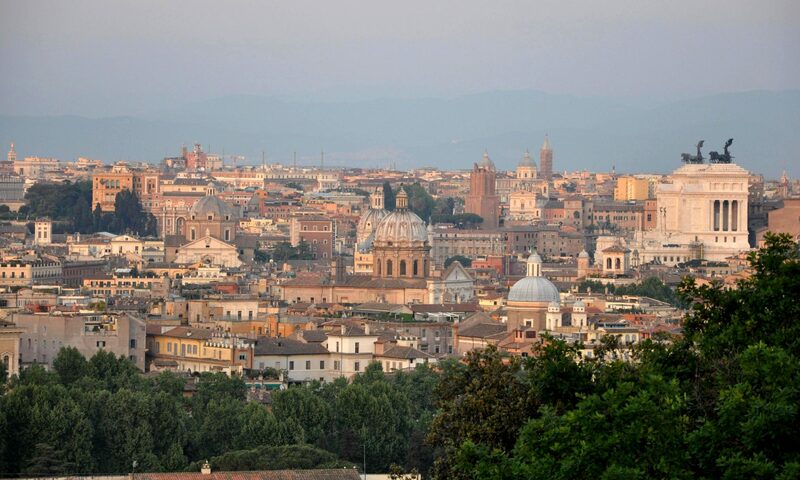 If you asked the average traveler how many hills there are around Rome, you'd get one answer: "Seven." But there are more. And the second-tallest of all of them, the Janiculum — not included in the seven because it's across the River Tiber from the ancient quarter — boasts Bramante's lovely Tempietto and Pope Paul V's 17th-century Fontana dell'Acqua Paola. But more crucially, it also serves up some of the city's best views. (Just see above). To get up there without your own car, you can hike (for a long time) or take the 970 or 115 buses. Rome's transportation website can map your route for you; just remember that in Italian it's "Gianicolo," not "Janiculum." ("Passeggiata del Gianicolo" is the best to put in). A caveat: Some people go up to the Janiculum at noon, when a cannon is fired to mark the time. 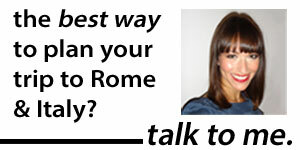 That I don't recommend, unless you have lots of time to kill in Rome. There's just too much else to do during the day, and even if you're an avid photographer, the midday light will be flat. But if you can get there and back in the evening, just as the sun is setting, you might find it's a good way to see the city the only way it's peaceful: from far away. Just ignore the teenagers making out in their cars.